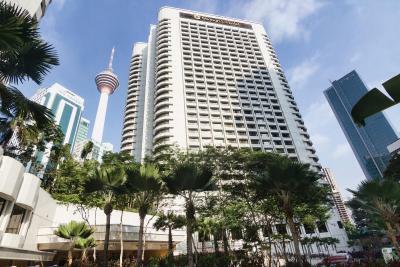 Lock in a great price for Shangri-La Hotel Kuala Lumpur – rated 9.1 by recent guests! The staff were friendly and room was clean but the carpet did have quite a bit of staining. The food was very good. For the additional 400 Myr, got club access, a ginormous room with a separate living room, a birthday cake for my son and a box of chocolates. Otherwise, the staff were great. 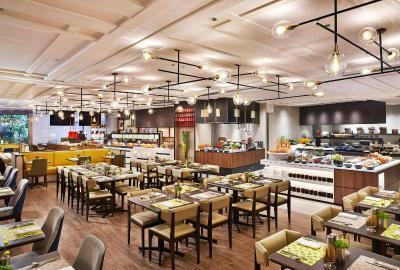 breakfast is great, and very quite ambience, which suitable for me, Nice ! The staff were fantastic. Everyone was very professional and went above and beyond expectations. I requested to arrange for a small birthday surprise for my friend and it was beautifully done. We got a free upgrade on arrival. Good value for a luxury hotel. The breakfast buffet was I-N-S-A-N-E!!! Wish we had more than one night there just to have that breakfast buffet again. Wonderful location. Excellent concierge service. Super comfy bed! Extremely fast laundry service. Excellent promotions! 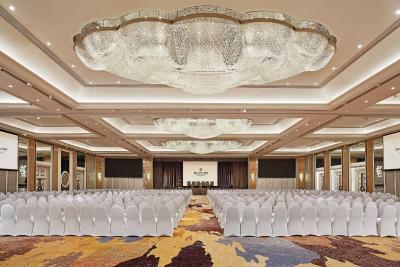 Shangri-La Hotel Kuala Lumpur This rating is a reflection of how the property compares to the industry standard when it comes to price, facilities and services available. It's based on a self-evaluation by the property. Use this rating to help choose your stay! One of our top picks in Kuala Lumpur.Shangri-La Hotel Kuala Lumpur offers accommodations in the city center, just a 5-minute walk to KL Tower and Petronas Twin Towers. It features an outdoor swimming pool and guests can enjoy meals 6 of the property's in-house restaurants or have a drink at the bar. Free WiFi is available throughout the property. Guests can approach the 24-hour front desk for currency exchange, tour arrangements and laundry services. 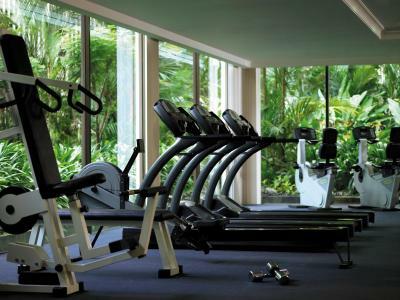 Daily workouts can be maintained at the fitness center. Alternatively, guests can relax in the hot tub or enjoy a massage. 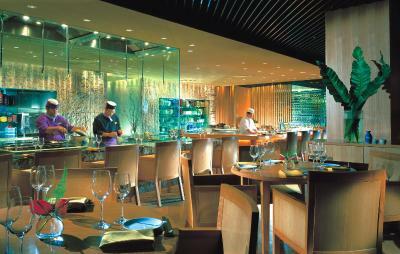 The hotel’s 6 on-site restaurants serve a variety of Japanese, Chinese, international and vegetarian cuisines. 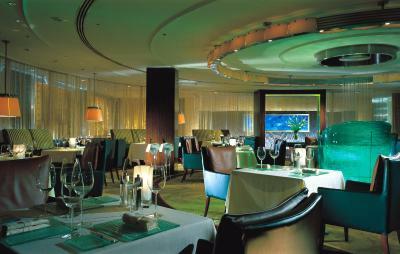 Drinks are available at the Lobby Lounge, Poolside Terrace and Arthur's Bar and Grill. 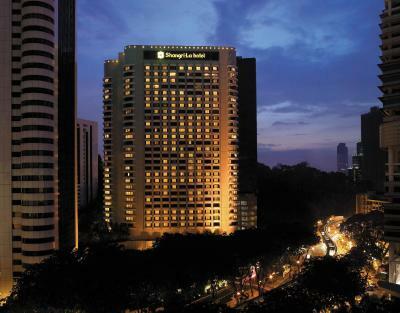 When would you like to stay at Shangri-La Hotel Kuala Lumpur? 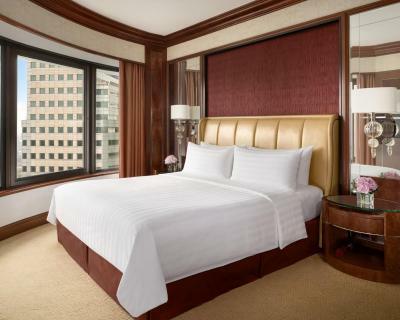 This air-conditioned executive king room opens up to views of the city. It is fitted with a flat-screen satellite TV, laptop-compatible safe, mini-bar and complimentary bottled drinking water. 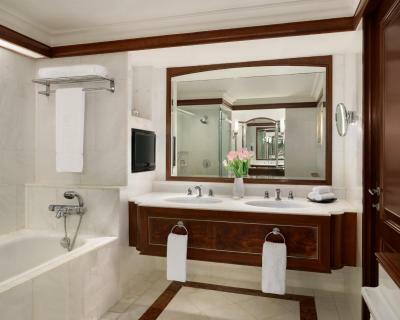 The en suite marble bathroom has shower facility, separate bathtub, bathrobes and slippers. Guests enjoy complimentary turndown service daily. 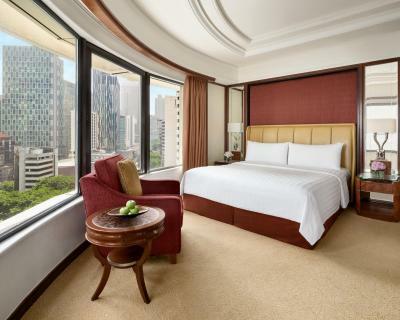 This air-conditioned club executive king room opens up to views of the city. It is fitted with a flat-screen satellite TV, laptop-compatible safe, mini-bar and complimentary bottled drinking water. The en suite marble bathroom has shower facility, separate bathtub, bathrobes and slippers. 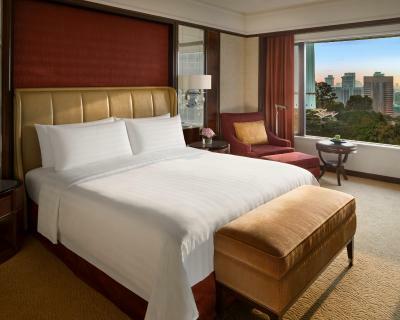 Guests enjoy complimentary turndown service daily and access to the Horizon Club. 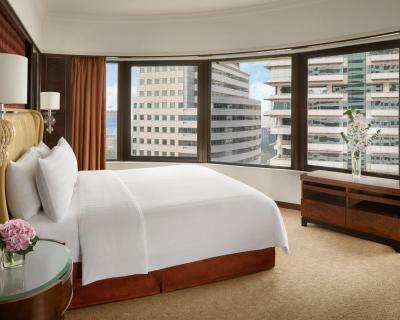 This larger air-conditioned premier king room opens up to views of the city. It is fitted with a flat-screen satellite TV, laptop-compatible safe, mini-bar and complimentary bottled drinking water. The en suite marble bathroom has shower facility, separate bathtub, bathrobes and slippers. 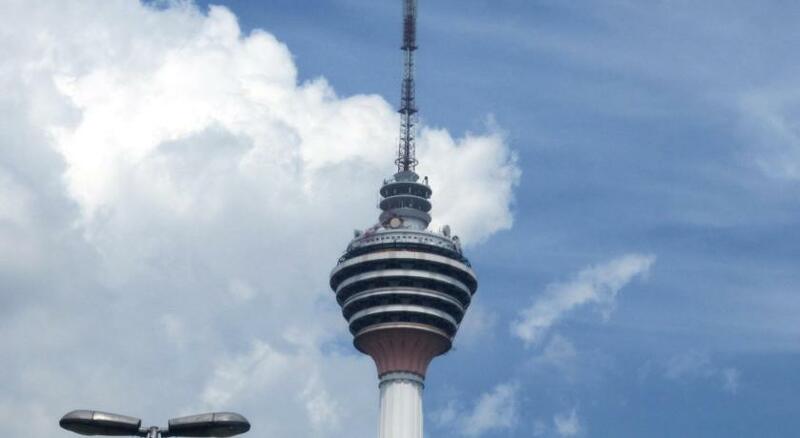 This larger air-conditioned premier twin room opens up to views of the city. It is fitted with a flat-screen satellite TV, laptop-compatible safe, mini-bar and complimentary bottled drinking water. 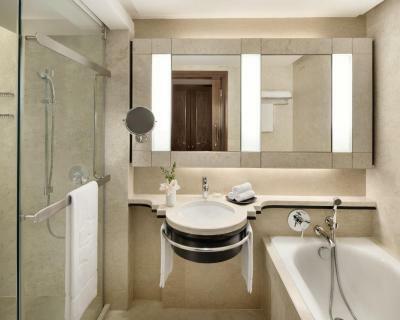 The en suite marble bathroom has shower facility, separate bathtub, bathrobes and slippers. 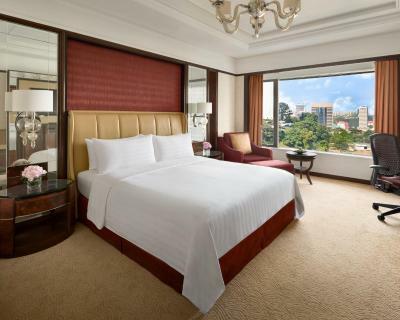 This air-conditioned executive twin room opens up to views of the city. It is fitted with a flat-screen satellite TV, laptop-compatible safe, mini-bar and complimentary bottled drinking water. 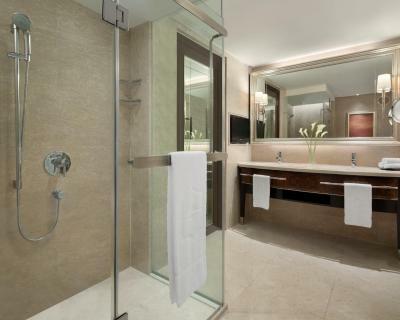 The en suite marble bathroom has shower facility, separate bathtub, bathrobes and slippers. 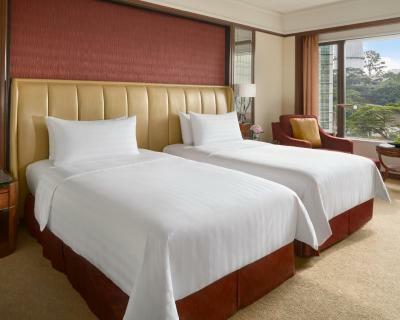 This air-conditioned club executive twin room opens up to views of the city. It is fitted with a flat-screen satellite TV, laptop-compatible safe, mini-bar and complimentary bottled drinking water. 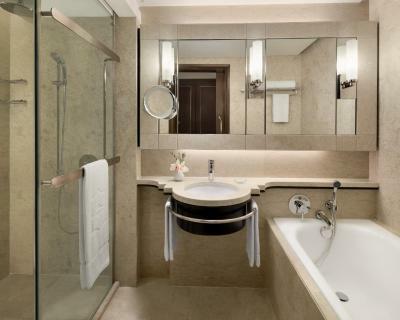 The en suite marble bathroom has shower facility, separate bathtub, bathrobes and slippers. Featuring red, orange and shimmering gold decor, this spacious air-conditioned suite consists of a separate living area, a flat-screen TV with DVD player and large windows with views of the city. 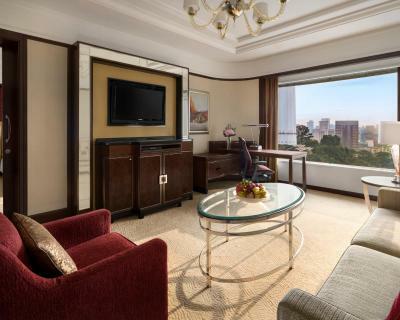 With a classic-contemporary décor, this larger air-conditioned suite consists of a spacious bedroom and a private work area. The separate living room is fitted with a flat-screen TV, a DVD player and large windows with panoramic views of the city. The en suite marble bathroom has a separate rain shower, deep soaking bathtub, bathrobes, slippers and free toiletries. 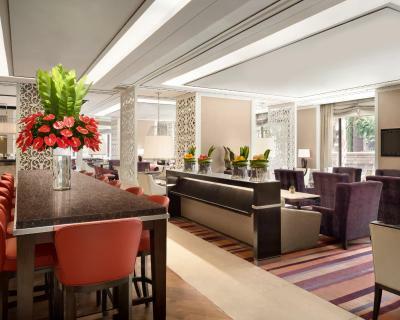 Guests enjoy access to the Horizon Club Lounge and complimentary turndown service daily. 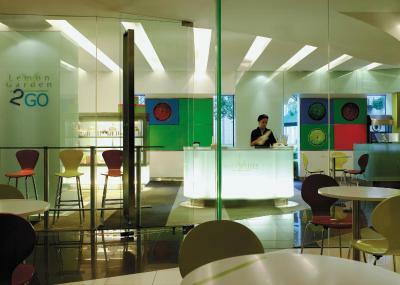 - Use of meeting room for up to 2 hours daily (subject to room availability). 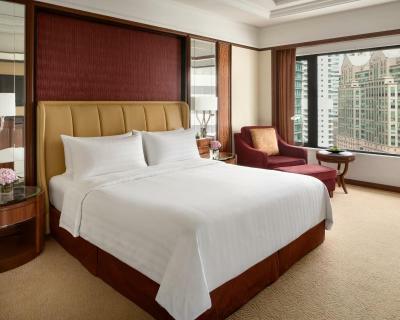 This air-conditioned deluxe king room has a seating area fitted with a flat-screen TV, mini-bar and a desk. The private bathroom includes shower facilities, a hairdryer and free toiletries. This air-conditioned one-bedroom opens up to views of the city. The seating area is fitted with a flat-screen TV, sofa and a desk. The kitchenette is equipped with a refrigerator, mini-bar and a microwave. The private bathroom includes shower facilities, a hairdryer and free toiletries. This twin room features a bathrobe, mini-bar and fireplace. 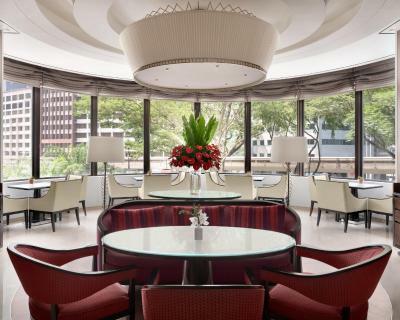 House Rules Shangri-La Hotel Kuala Lumpur takes special requests – add in the next step! 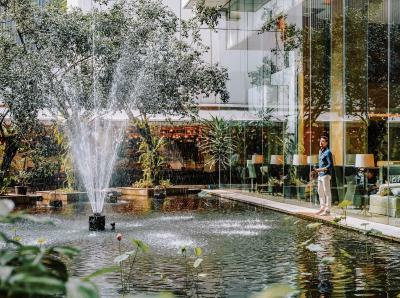 Shangri-La Hotel Kuala Lumpur accepts these cards and reserves the right to temporarily hold an amount prior to arrival. 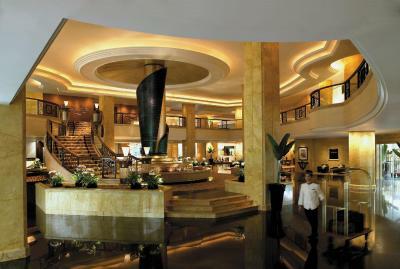 Please note that the credit card used to secure booking must be presented upon check-in. The pool area was a bit disappointing and not really what we expected in regards to cleanliness. Wonderful breakfast! Modern and fairly big fitness centre, nice wellness area. Lovely staff members, very friendly and helpful. Good hotel although a bit dated. The health section is very nice and quiet. Had a facial treatment at the spa which was excellent. The staff were very welcoming and attentive. 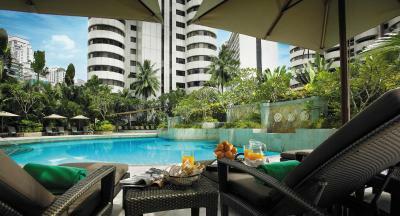 The central location is excellent and the outdoor pool is very good. One of the best hotels I have stayed in on my round the world trip. Very comfortable beds, we enjoyed our stay there very much. 1. The smell of the hotel! 2. The lobby was nice and spacious. When we entered, the staff greeted us and assisted us with a big smile. 3. Check-in process was smooth and fast. Requested early check-in beforehand, and they managed it. 4. Breakfast experience was amazing. Staff there were efficient and welcoming. The food was delicious with wide selections. 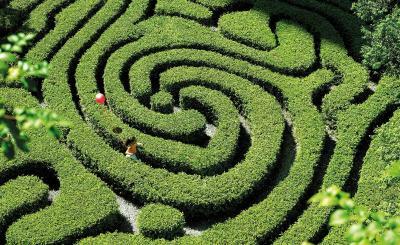 Overall: Amazing, friendly staffs and welcoming environment. B/fast at the lounge could have more variety. My wife ordered room service. It arrived 1 hour after ordering the food and it arrived cold. She was very disappointed. 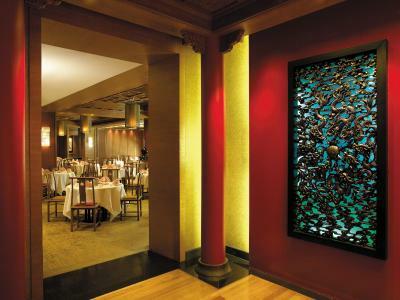 This is a fantastic hotel with a very good Cantonese restaurant, Dr Shang, and with the best breakfast buffer ever. 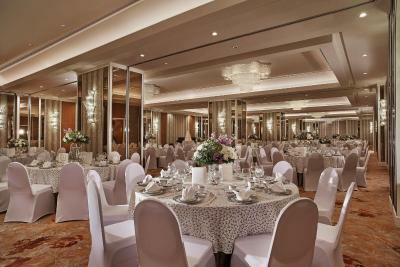 It is full of flowers and tasteful details and the service is very nice and efficient. 10/10. I was not happy that their outdoor coffee area was being renovated yet I was not aware of this when booking. There does not appear to be shuttle transfer to the airport despite being advertised. Real 5 star quality with a friendly feel made to feel special Superb!